The days are getting a little warmer now in Britain, but the nights are still freezing. It looks like Spring may be just on the horizon, especially now we have a few scattered primroses here and there. But I was really surprised to see a very special individual come out of hibernation yesterday evening, and I can’t help but wonder if she’s a little premature. I live in an old house, and some rooms still have the original period windows in place. 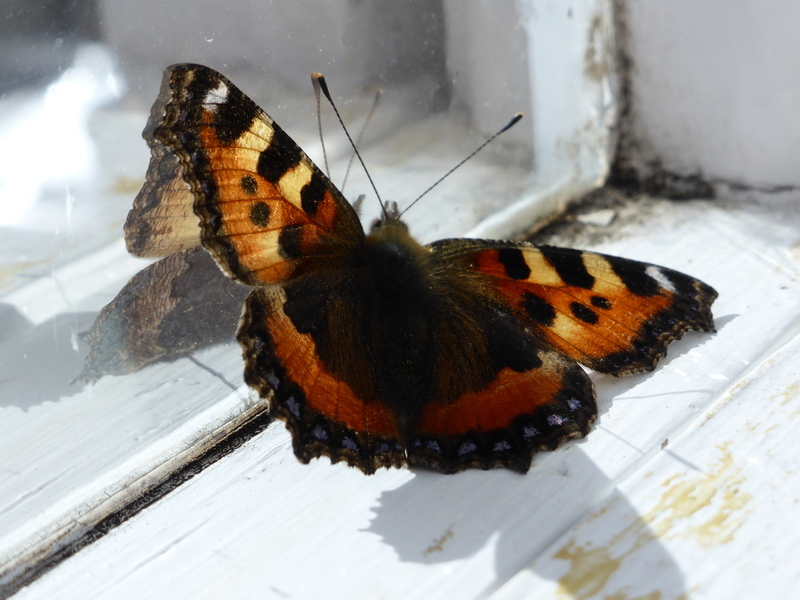 The sewing room still has it’s original 1930’s window frame, and every year we have a surprisingly high number of ladybirds and butterflies who decide to spend the winter with us. 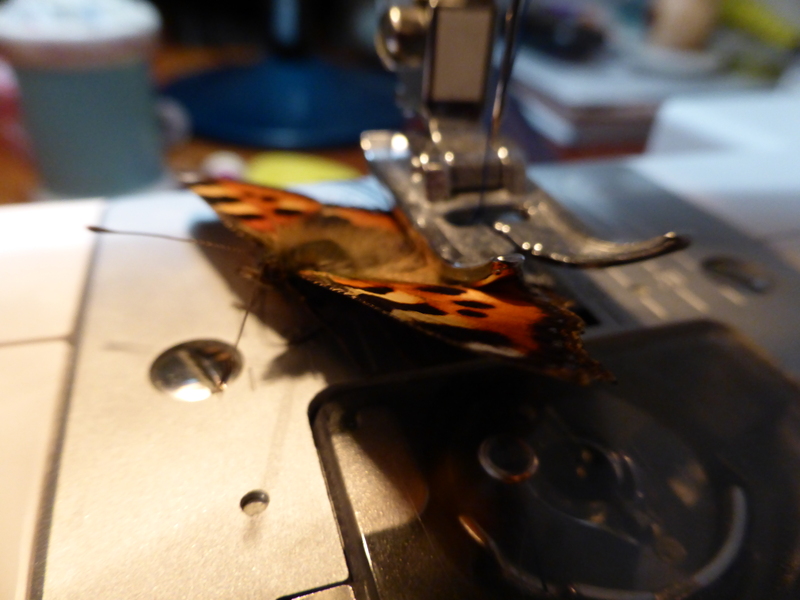 I usually spend Spring checking the sewing room several times a day for butterflies who want to get out. So you can imagine my surprise when, yesterday evening, I was taking up a pair of new jeans and I had a butterfly land on my Singer. 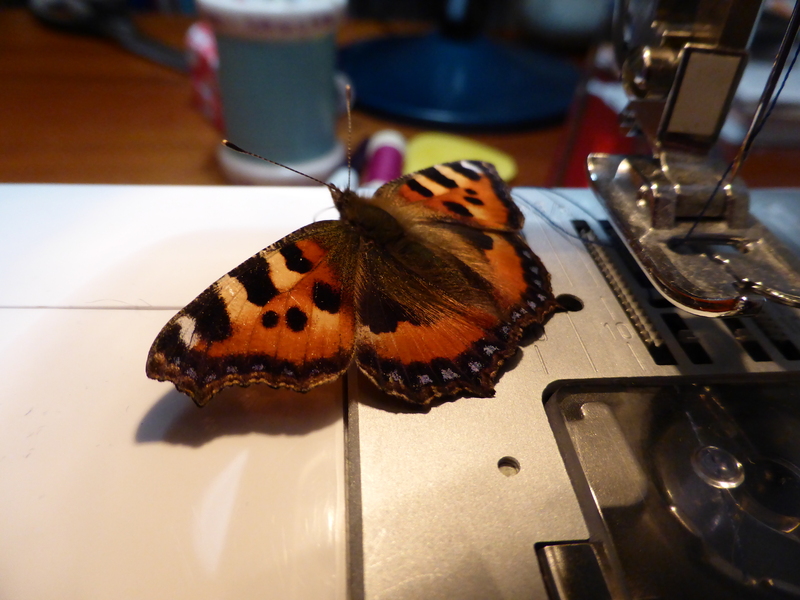 She would no doubt have made a pretty applique for my jeans, but I think she looks more beautiful in the wild. I was quite concerned that maybe the heat from the radiator had woken her up too early, so I turned off all the heating and lights, and waited for her to go back to sleep again. After a while, she settled just above the window frame. 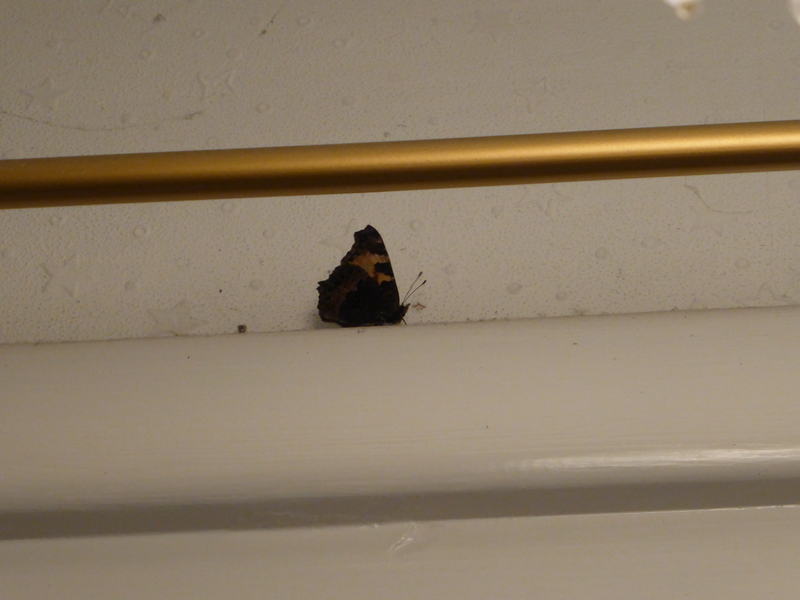 I was pretty sure that it was too early for her to be out and about, so I got in touch with my local butterfly expert, who advised me to keep her cool but if she does wake up again and is very active, then to let her fly off. I checked on her again this morning, and she was most definitely awake. 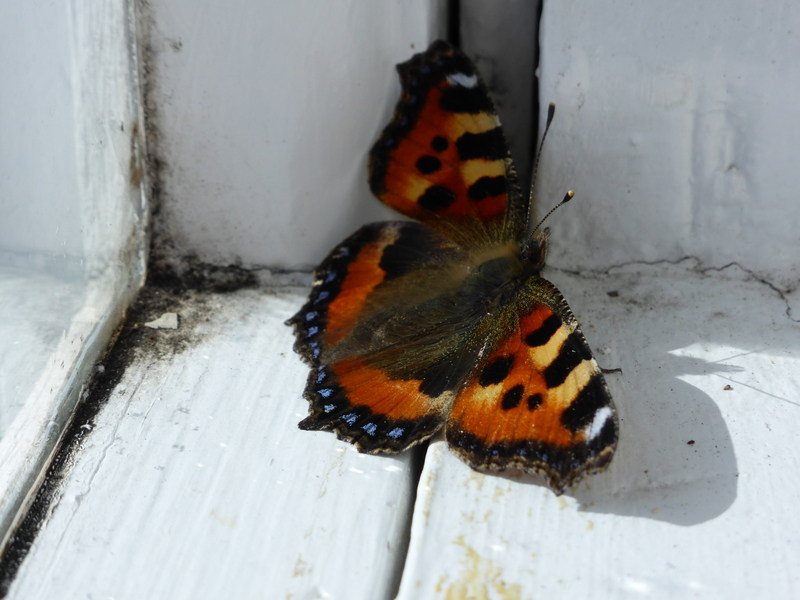 I am sure that the Butterfly will be all right, I am seeing plenty of Small Tortoiseshells in the wild now. I had one in my flat and he escaped yesterday but it was a lovely sunny day here and there was no reason to try and keep him.